Jill Duggar is wearing her new baby Israel in a sling, which is great, but her babywearing skills need a little work. Wearing your baby is an excellent way to keep your little one calm and relaxed while you move around your home or go out and about. However, it’s extremely important to do it correctly, because if you don’t, you risk accidentally injuring or even killing your child. 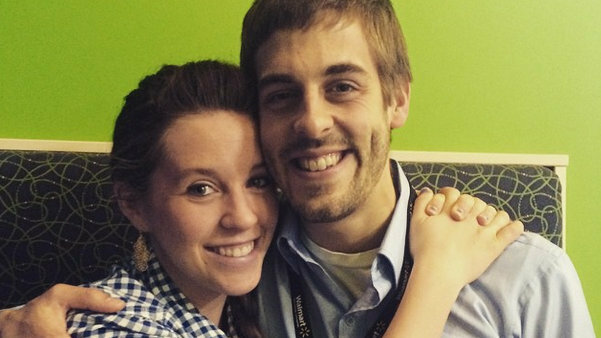 Jill Duggar has the right idea, but she’s definitely going about it all wrong. Duggar is using a ring sling, which is a type of sling that works well from newborns on up. The issue? Using it like this can be extremely dangerous. No matter what baby carrier you use, your baby should be up high, on your chest, and you should be able to kiss your child’s tender head — in other words, your baby should not be slung across the middle of your body. In fact, the way Duggar is wearing her baby looks an awful lot like the “bag-style” carriers, in which babies were essentially carried in a purse-like product — some of which were the subject of recalls when babies actually died. These types of carriers are dangerous because the baby’s body forms a “C” shape, which forces the baby’s head down on his chest and makes it difficult to breathe. Babies worn in these styles of slings were also down low and away from the adult’s chest, which makes it difficult to monitor the baby’s breathing and well-being. Here are a few examples that she might want to look at before trying to wear her baby again. There is a small chance that she’s actually nursing her little one in this photo, but based on the positioning, I think it’s unlikely. If you’re interested in babywearing, make sure you consult the instructions that came with the carrier you’re going to use (and if you got it secondhand, you should be able to find instructions online — for generic ring sling guidelines, Babywearing International has a great visual guide you can consult). Being a new mom is no excuse for lapsing on baby safety. Hopefully someone close to her will help her babywear more safely in the future.